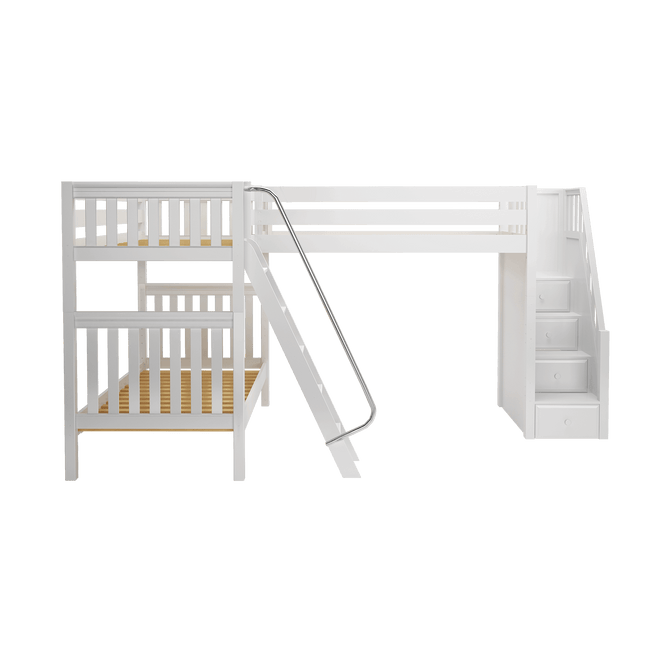 Staircase is safe for kids to climb up top and comfortable for parents as well. 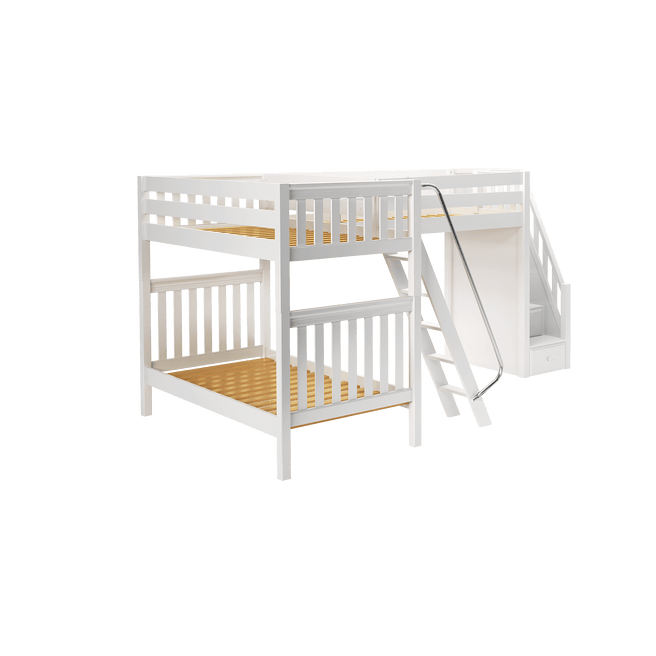 Each step has a deep drawer, providing built in storage to help keep your child’s room tidy. 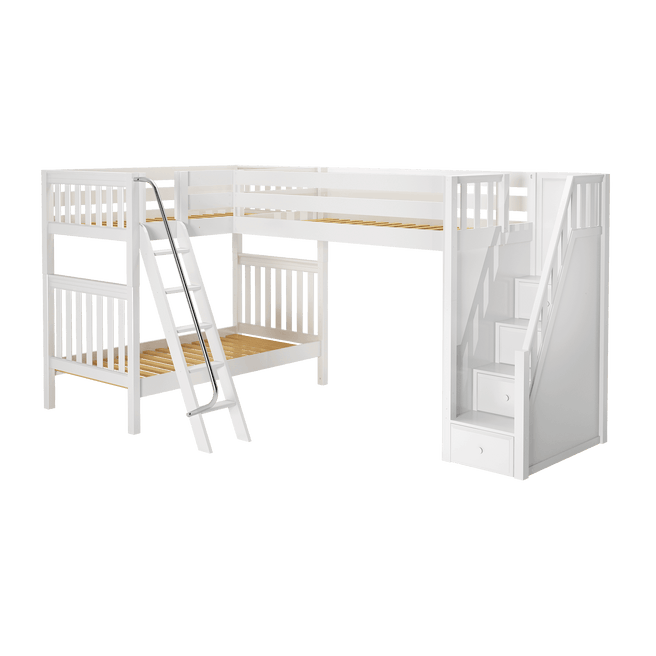 Access top bunk via solid wood, angled ladder with extra wide, grooved steps. ***Staircase must be assembled on the long side of bed. NOTE: Bed can be assembled mirror image (but entrances are not reversible).